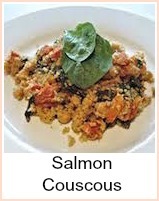 A grilled salmon recipe that is good either broiled or barbecued. 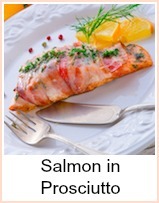 The lime marinade cuts through the oilness of the salmon and gives it a lovely cripsy coating. It's very simple and quick to prepare. Serve it with some crusty bread or plain boiled and buttered potatoes. A jacket would be equally good. A mixed salad with a similar dressing to the marinade would be excellent. Use the crusty bread to mop up the juices. Get the marinade ingredients and mix them together thoroughly. I use a stick blender or wire whisk. 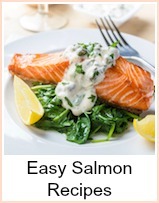 Put the salmon in a shallow dish which will take it in one layer. Pour the marinade over. Leave for around 30 minutes, turning the salmon so that it's well coated. Heat the grill or coals. Brush the rack with oil to prevent sticking. Cook each side for around 5 minutes until the salmon is just firm to the touch. Brush the marinade over prior to turning and the salmon will stay nice and moist. The marinade will give a lovely crusty coating that should blacken. If you want to make a salad dressing, then use the same ingredients as the marinade. I put the whole lot in a screw top jar and shake it until it's well mixed. You can store this in the fridge. It will give the flavours time to amalgamate and it will keep for a few days. If you make more than you need on one occasion, then it's there for another day. If you don't have lime, then it's okay to substitute lemon and it's not essential to use the rind - you can use juice from a bottle if that's all you have. I didn't used to use lime - they're cheapest in nets of five and I only ever needed one or two for a recipe and it always seemed a waste. BUT they have a slight saltiness to them which means you don't necessarily need added salt and they do exactly the same job as lemons. So, I tend to prefer lime now. 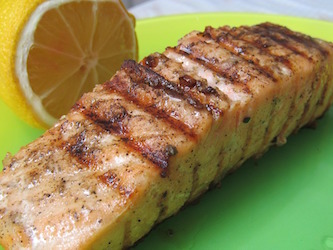 Super easy grilled salmon in a lime marinade.